Shut up and get into the studio. Once your physical envelope is standing before the easel, your heart and mind will follow. …Business model innovation has long been the domain of disruptive startups looking to compete against established companies by changing the rules of the game, - and, hopefully, creating new markets and reshaping entire industries. But, it’s no longer enough for established companies to just roll out improved products and services based on their once-reliable business models. This is something that I’ve emphasized in my workshops on technology in the music studio - having devices and apps won’t make a big difference in your teaching. It’s the agenda behind it (both core pedagogical process and business model) that will provide the impetus for making technology genuinely useful. I’m always inspired by stories of people in the performing arts who create new initiatives that serve the needs of their communities. Seemingly out of nowhere, someone has an idea, builds it into a project, makes it viable, and serves the community, creating a sustainable initiative that also provides employment for its creator and others. These are the types of initiatives that build genuine growth in the arts. At the same time, I’m concerned by the number of people I meet who have great ideas that never get off the ground. What follows is a way to get from idea to action in a minimum of time so you can take advantage of the larger pool of outcomes that arise from being able to launch new initiatives, whether it be a new concert series, your first play, learning to create in a new medium, or simply upgrading your skills. Visualize yourself immersed in the process of what you want to do. No, I didn’t say visualize yourself enjoying the trappings of success on a beach in Hawaii or driving a McLaren down the street. You have to visualize yourself in the trenches, with your hands doing the actual work. Because if you’re going to make a go of your project, you’re going to have to show up to do the work, day after day, year after year, making something that will be viable and sustainable. What you discover in this step will determine whether you decide to go onward or choose another course of action. Take advantage of downtime. Life in the performing arts (and the entire freelance job market) often takes the form of feast or famine. Utilizing the spaces in your schedule is a strong starting point for any future endeavours. Time can be an asset if you’re motivated to create new work. Brainstorm. Pen and paper are the best for this. The free flow of ideas can unlock the vast realm of possibility, complete with ideas and connections between them. Research on the brain’s default mode has shown that the mental processes unlocked by daydreaming or taking walks is in fact what unlocks the full range of seeing possible future outcomes. Write a list of actions from start to finish. Your list can consist of either parallel or sequential actions. Your most important resources are money and time. Budget for both. Revise as you move through #5, 6, and 7. Leverage pre-existing skills, networks, and infrastructure. When I created the Tapestry Songbook/New Opera 101 program at Tapestry Opera in 2010, I took advantage of 20 years of new opera commissions from the company to compile a list of Canadian repertory arias that could be utilized to teach young singers and pianists about the new opera process. You have stuff lying around that can be repurposed. You have many skills, some of which are left dormant for years. You have social media and real-life communities all around you. Use them to create something new. Learn new skills as needed. Everyone’s education has gaps. In order to succeed, we need to fill them in. Skill acquisition can be a path towards a larger goal, or even the goal itself. Ask for help (or hire) as needed. Those around us have the answers to many of the questions we pose. Often a conversation with someone that knows the ropes can help. At other times, it’s best to hire someone, whether for services, consulting, coaching/teaching, or employment. Budgeting will be required in step 4. Work swiftly and mercilessly through your action list. Once you’ve got the steps mapped out, start executing. Taking action quickly can create an energy and momentum that is highly motivating. Launch your preliminary work quickly, then refine. Here your advantage is to move fast, and this is an asset that individuals and small organizations will always have over slower, more systematic large organizations. When you’re small, the principles of Agile philosophy become apparent: delivery a satisfying product early, and iterate quickly as it develops. A successful bootstrapped one-off concert can develop into a viable series as it gains an audience and funding. Commit for the long haul. After I made a mid-career decision to move full-time into piano teaching, it was still 6-7 years before I had a full schedule. In the interim, I was learning about piano pedagogy, apprenticing as an RCM examiner, learning the ropes of advertising, and building a teaching repertoire. If you’ve been honest with yourself in step 1, you can make it all the way to creating something viable and sustainable. The process at its end is transformative. What are your recent success stories? What success stories inspire you? What have I left out? Leave a comment below and let’s talk. 8. Mark fingerings in the music to create that memorable performance. When you wake up in the morning: drink a glass of water (clarity), plan your day (focus) and do the most important thing first (impact). What I find particularly notable (and trustworthy!) about Productive With a Purpose is that Vince doesn’t appear to be selling a product, but merely documenting his productivity journey and systems. My favorite post is Be a Pebble Snatching, Productivity Fu Master, which outlines the best GTD implementation of Things 3 that I’ve seen. The minute we identify with the rest of humankind, we are on the right track. The minute we set ourselves apart, we are in trouble. When we start thinking that as artists we are very different from other people, we start to feel marginalized and hopeless. When we realize that we are probably in pretty much the same boat as everyone else, we begin to edge toward solution. Our shared humanity is the solution. Our “specialness” is the problem. I’ve used Julia’s Morning Pages method for several years now - this process has helped me to understand myself better, realize what types of projects I really want to be doing, and how I can work at my best. Julia’s The Artist’s Way is what I recommend as an entry point into Morning Pages, and she also has a workbook that helps you to get more deeply into the practice. Isn’t it interesting how when you give a plant good nourishment at the roots, the rest takes care of itself? I’m learning that work-related growth is the same way. It’s taken me a while to truly embrace this concept (and I’m still uncovering new layers of how to do this), but the more I do, the calmer, clearer, and more effective my work becomes. At an individual level, this means optimizing my habits and rhythms rather than chasing bigger and better projects and outcomes. This has been tremendously hard for me (hello, INFP!) because I hate doing the same thing I did yesterday and the day before and the day before that. I love obsessing over new things and letting my passion for something drive me into the ground. But you know what I love more? Being healthy. Being confident in my ability to keep working on something and making it better over time. Having a feeling of spaciousness in my life instead of the constant feeling that I should be doing more. Sarah’s quote above is from Part 1; also check out the second and third parts of the series. Here's a simple trick for getting more people to read what you write: write in spoken language. Paul’s essay archive is also worth a look. Last year I published a list of my favorite blogs that reflected some of my picks for the best independent writing on the web. This year the selection grows by one, with several new additions. Although the material from these writers is highly varied, a common theme tends to dominate: honest, straightforward writing from authentic minds, presented in a clean, clutter-free layout, emphasizing ideas rather than hard-selling a product, and broad enough in scope so that people outside their field would be interested in what they have to say. Brain Pickings - Maria Popova reads a lot of books. More than that, she crafts the ideas of authors and artists into fascinating blog posts that make you want to dig deeper into the literary, cultural, and scientific worlds. CJ Chilvers - A writer and photographer from Chicago who writes about creativity, technology best practices, and everything in between. His ideas on newsletters helped me greatly when I launched my own last year. The Cramped - Patrick Rhone’s blog about the pleasures of writing with analog tools, and how rediscovery of pen and paper can help to jumpstart your creative process. Cross-Eyed Pianist - Frances Wilson looks at the pianistic life with a special emphasis on the development of the amateur pianist. I particularly like the perspectives of her frequent guest bloggers. Cultural Offering - Kurt Harden writes about family life, public affairs, art, literature and the pleasures of the table. Daring Fireball - John Gruber is mostly known for his web projects (Markdown!) and The Talk Show podcast, but his blog casts a wider net with his curation of tech news and current events. Execupundit - Michael Wade is a consultant who writes about leadership, management, ethics, and life. He also understands the importance of process and why we need to find beautiful things. Kottke - Jason is one of the OG bloggers from over 20 years ago, and still one of the finest purveyors of hypertext products. Marginal Revolution - Economists Tyler Cowan and Alex Tabarrok offer not just a first-rate economics blog, but one of the most balanced news sites on the web. 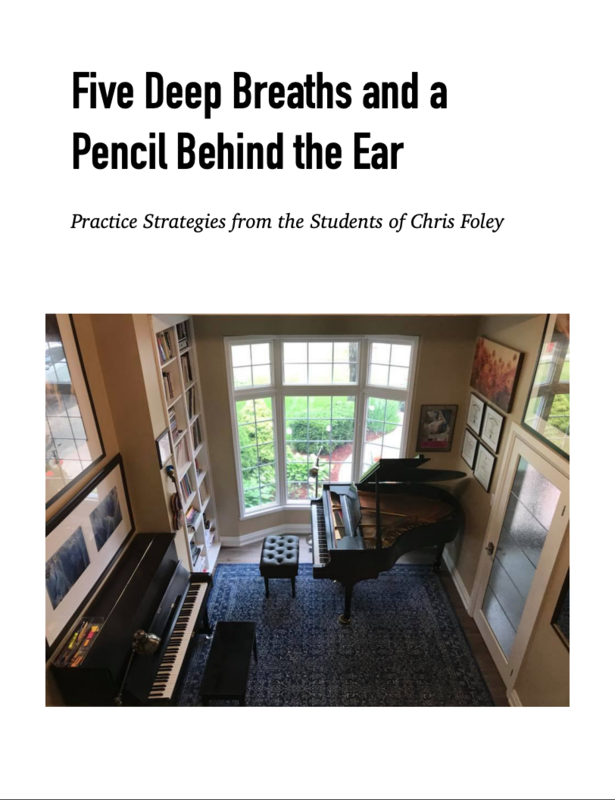 Melanie Spanswick - Melanie writes about the art of practicing the piano, education, and musical culture. 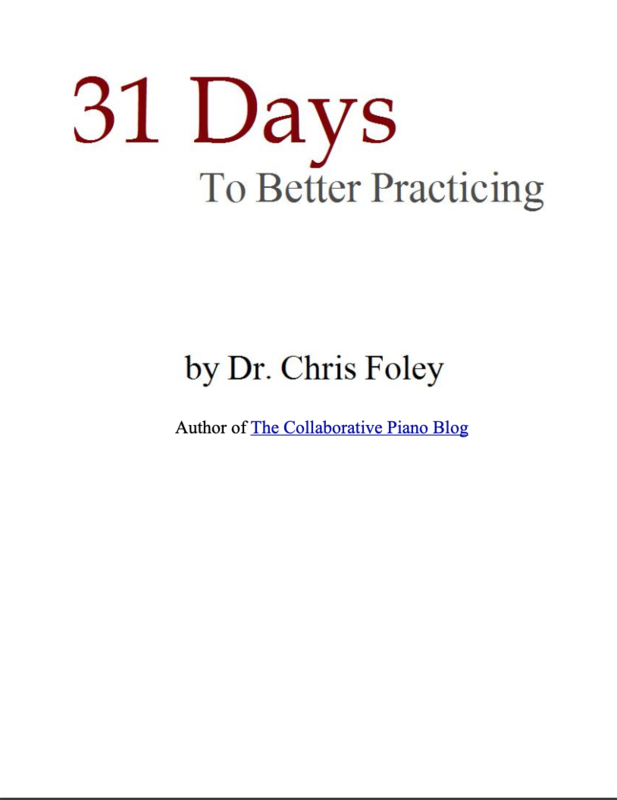 A must-read for pianists. The Newsprint - Josh Ginter’s blog is memorable not just for its stunning photos, tech and gear reviews, but for his varied curation of Fresh Links from around the web. Nicholas Bate - Nicholas’ words of wisdom are offered in short, digestible posts, but their impact can be profound. Sandow - Greg Sandow looks at issues at play in the world of classical music and how it needs to grow (or grow up) in order to survive. The Sovereign Professional - The freelance world has its attractions but is not without downside. This is what you need to read in order to stay grounded in a world of chaos and entitlement. Study Hacks - Cal Newport’s long-running blog started out as a site to help college students with study skills. Since then it has grown to become the centre of the digital minimalism community in a world where technology has made it increasingly challenging to maintain focus. Susan Eichhorn Young - Susan’s authentic voice is a beacon for those of us in the performing arts. Her kind but firm advice points of towards an artistic life filled with discovery, intention, and a growth mindset. Three Star Leadership - Ideas, strategies, and leadership reading curated from around the web by Wally Bock. Thanks for reading and I look forward to putting together the list of 20 in another year. What blogs have I missed? Leave a comment and share your favourites! I don’t like systems, and I don’t like systems because systems rely on rules, and the problem with rules is that they break down in the face of complexity, in the face of rapid technological change, and in the face of all of us just being weird, idiosyncratic humans who have specific quirks and rhythms and needs. More useful than a set of rules that come from the outside is a set of principles that come from the inside, and I think that this distinction between rules and principles is fundamental to developing a functional understanding of in a world of rapid change.